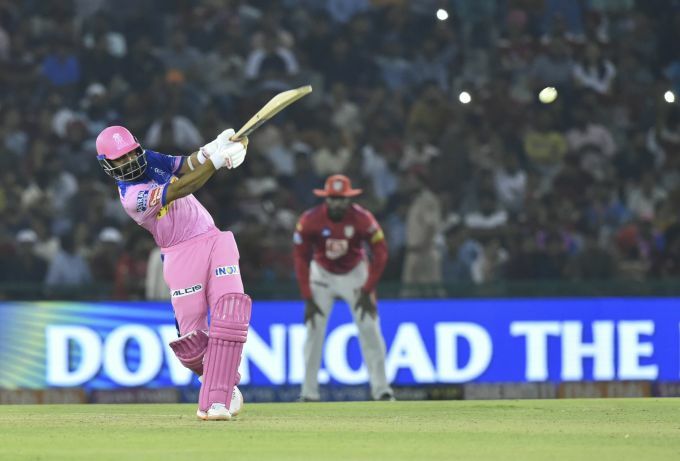 Mohali : Rajasthan Royals batsmen Rahul Tripathi plays a shot during the Indian Premier League (IPL T20 2019) cricket match between Kings XI Punjab V/S Rajasthan Royals I. S Bindra Stadium Mohali, Tuesday, April 16, 2019. 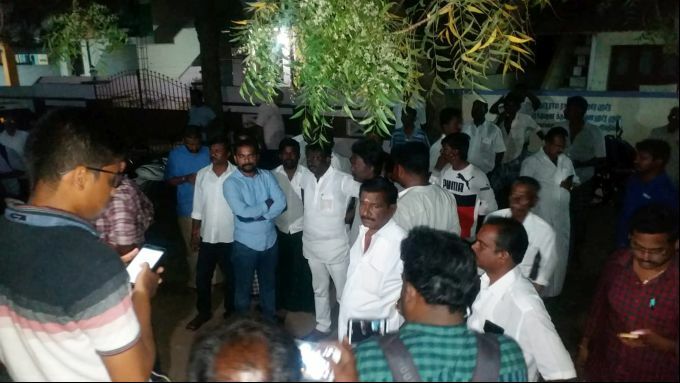 Tuticorin: DMK supporters stands in front of DMK leader Kanimozhi's house were income tax department raided the house of DMK leader Kanimozhi in Tamil Nadu's in Tuticorin, Tuesday, April 16, 2019. Kanimozhi is the DMK candidate from Thoothukudi in the Lok Sabha elections. 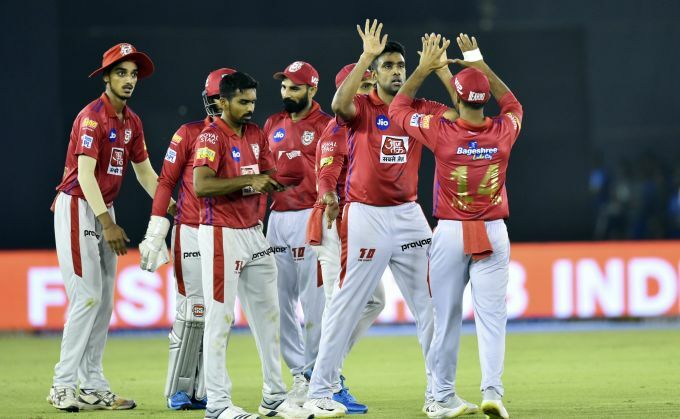 Mohali : KXIP player celebrates the dismissal of RR's Sanju Samson during the Indian Premier League (IPL T20) cricket match between Kings XI Punjab V/S Rajasthan Royals at I. S Bindra Stadium Mohali , Tuesday, April 16, 2019. 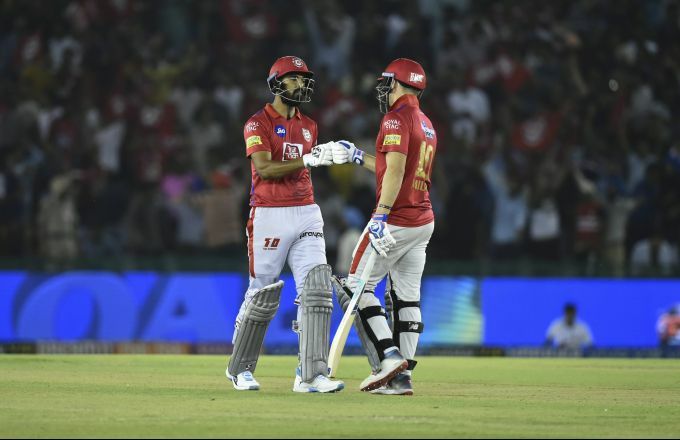 Mohali: KXIP batsman KL Rahul celebrates with teammate David Miller after scoring half century during the Indian Premier League (IPL T20 2019) cricket match between Kings XI Punjab (KXIP) and Rajasthan Royals (RR) at IS Bindra Stadium in Mohali, Tuesday, April 16, 2019. 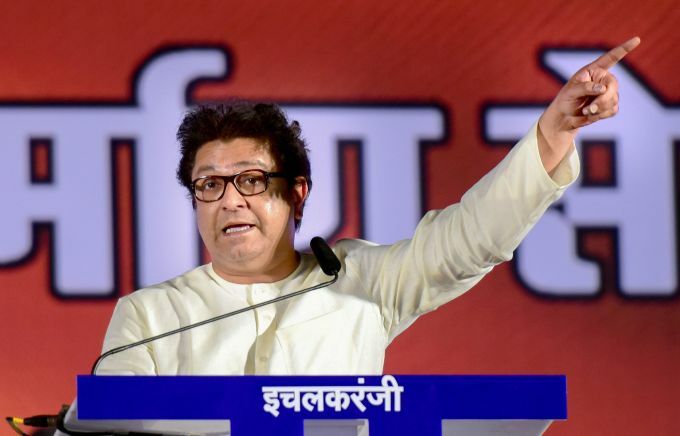 Kolhapur: Maharashtra Navnirman Sena (MNS) chief Raj Thackeray addresses a rally for the ongoing Lok Sabha polls, at Ichalkaranji in Kolhapur, Tuesday, April 16, 2019. 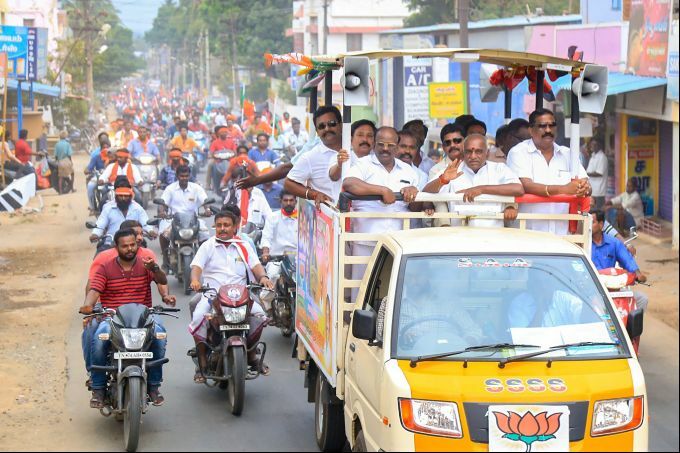 Kanyakumari: Union minister and Kanyakumari MP Pon Radhakrishnan during an election roadshow with alliance leaders for Lok Sbaha elections, in Kanyakumari, Tuesday, April 16, 2019.